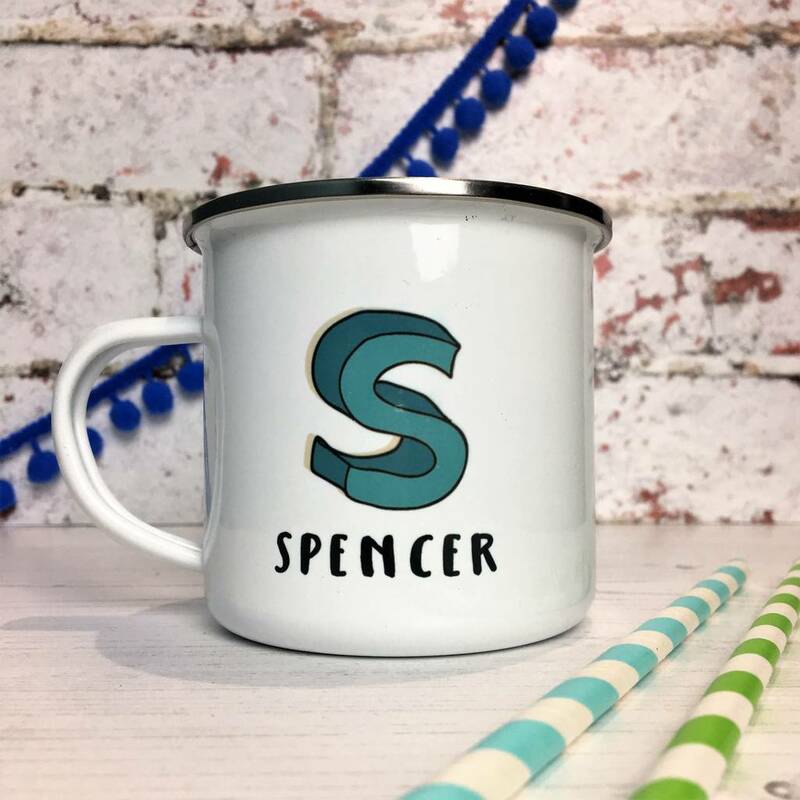 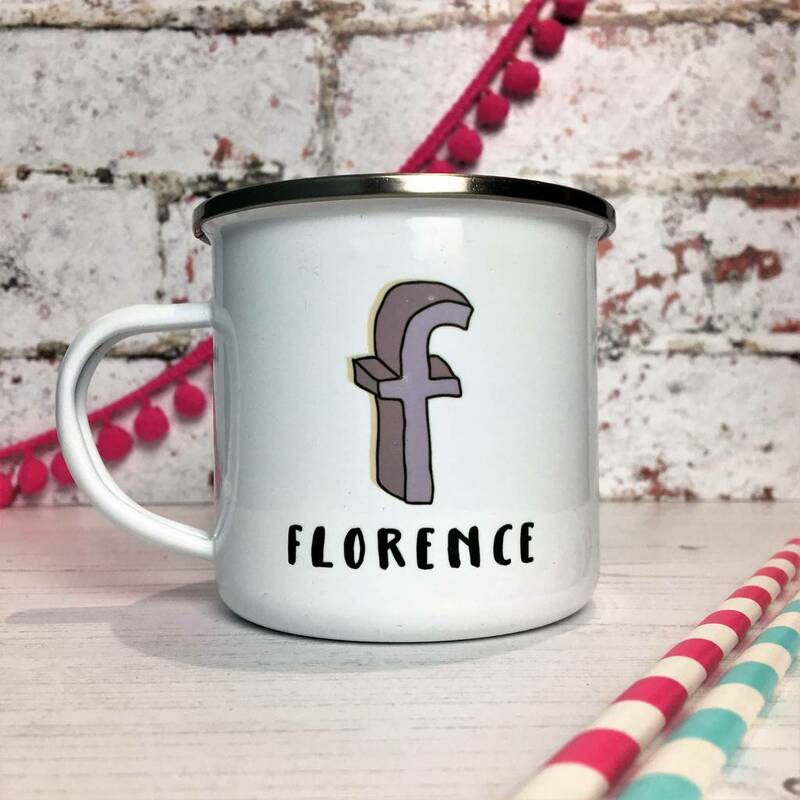 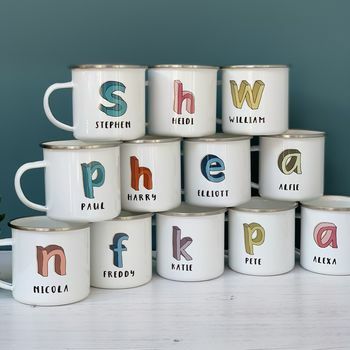 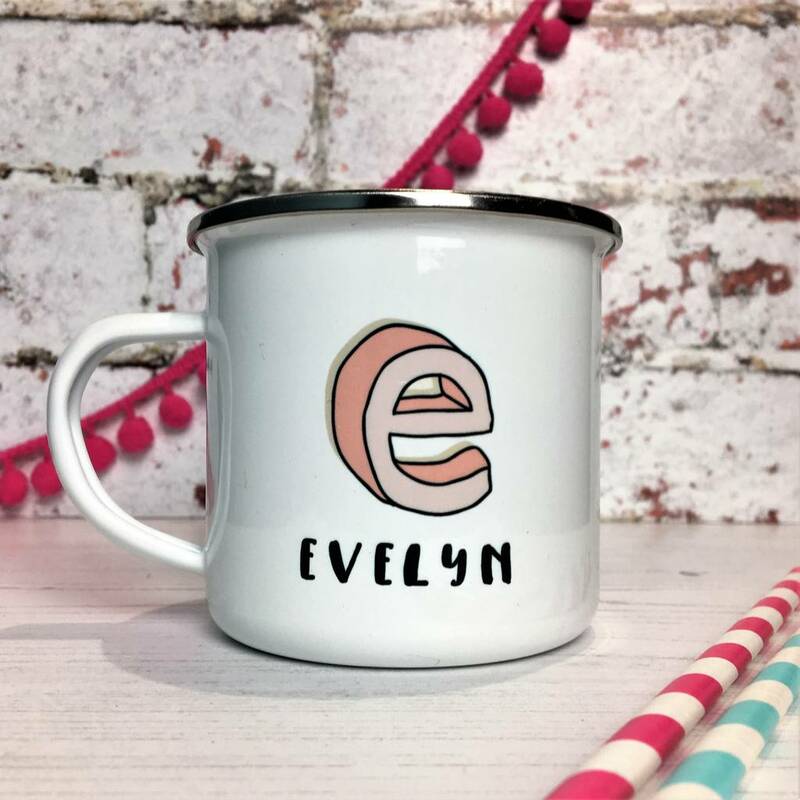 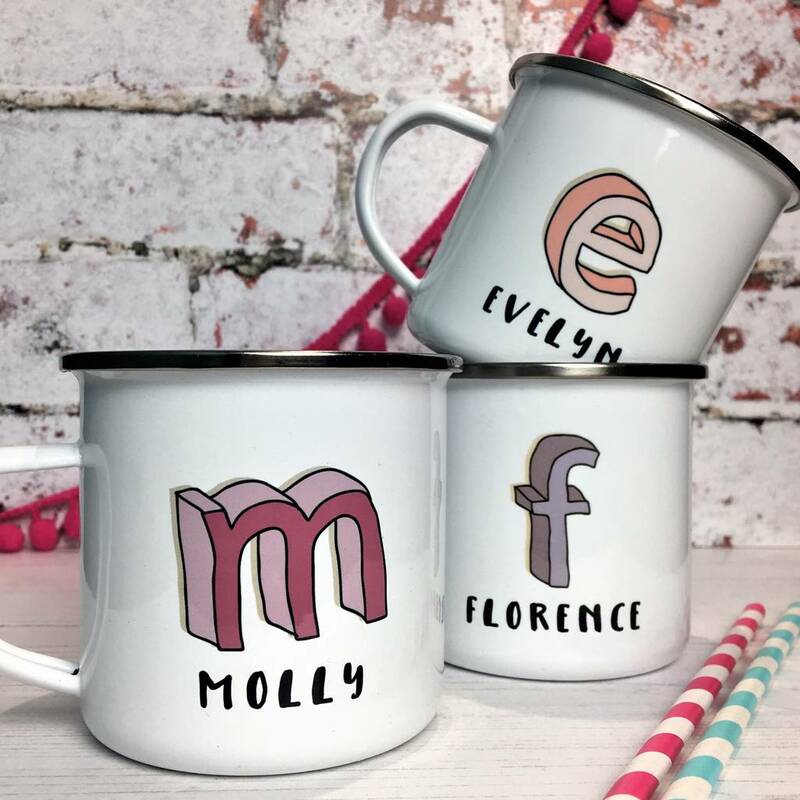 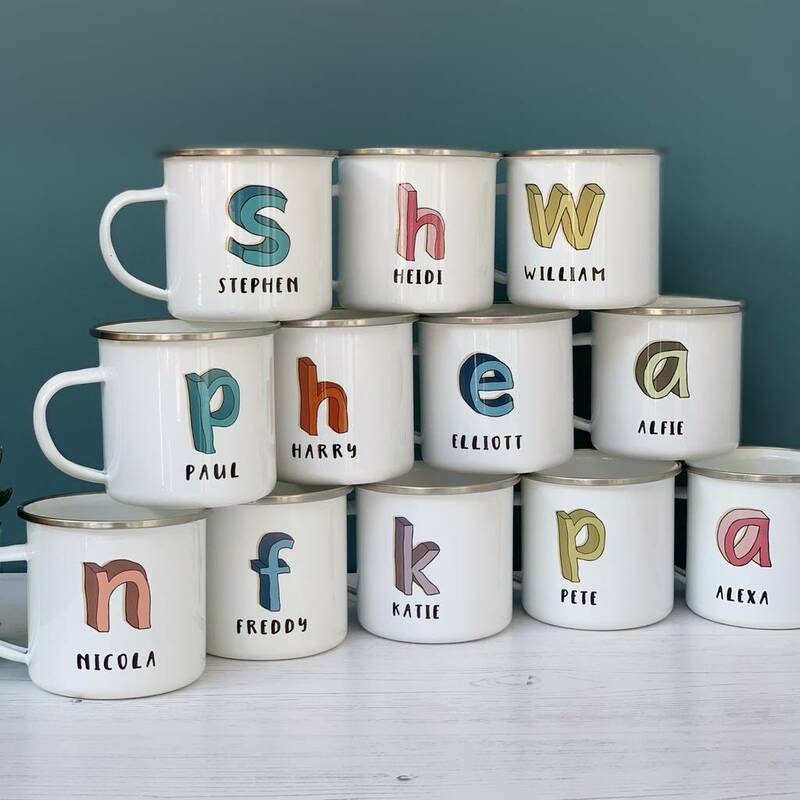 This personalised initial enamel mug ticks all the boxes to make the perfect gift! 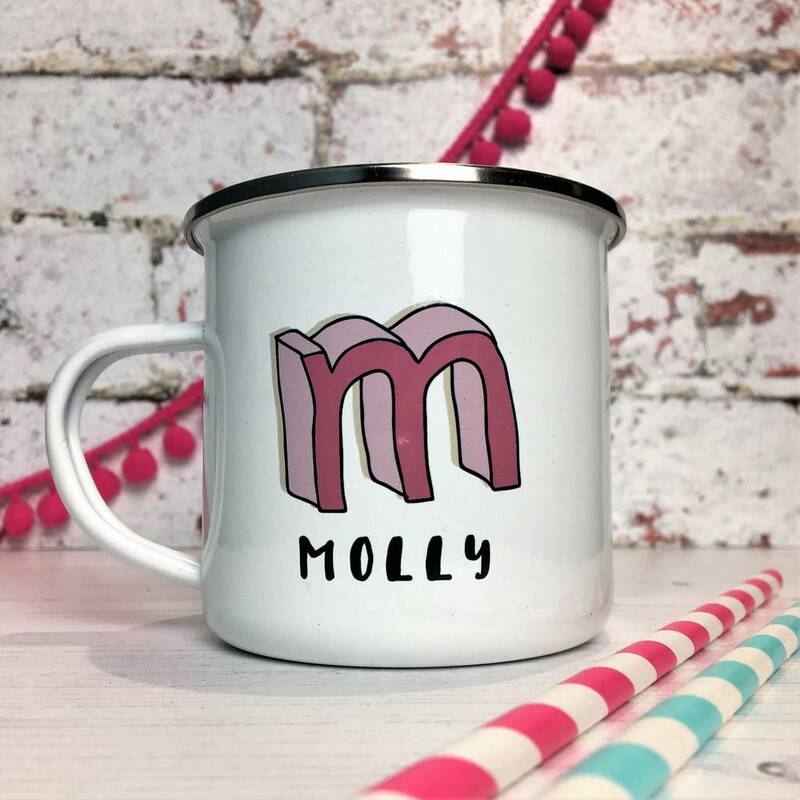 Its bright, bold and has a stunning retro look. 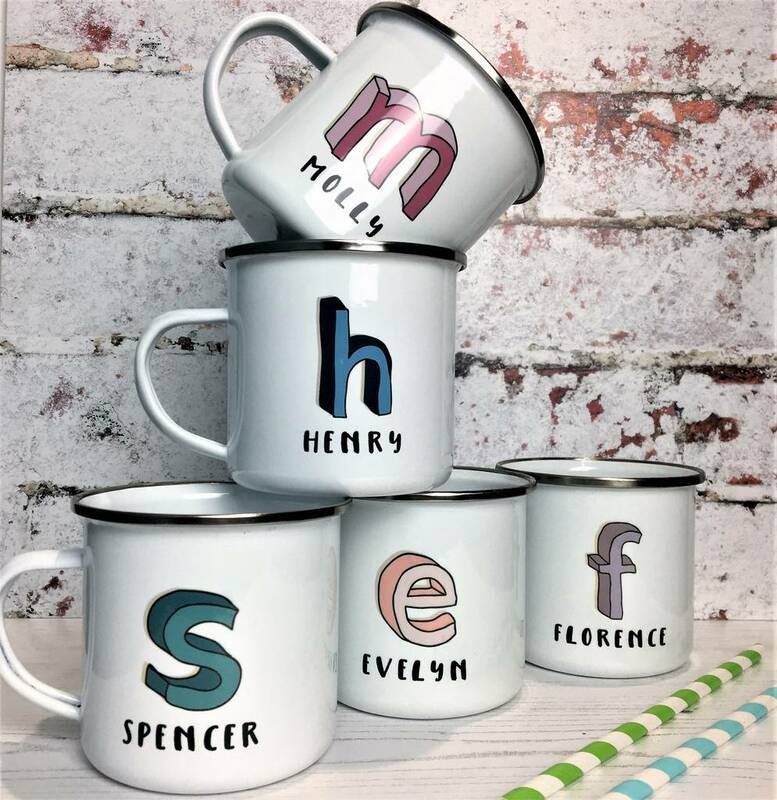 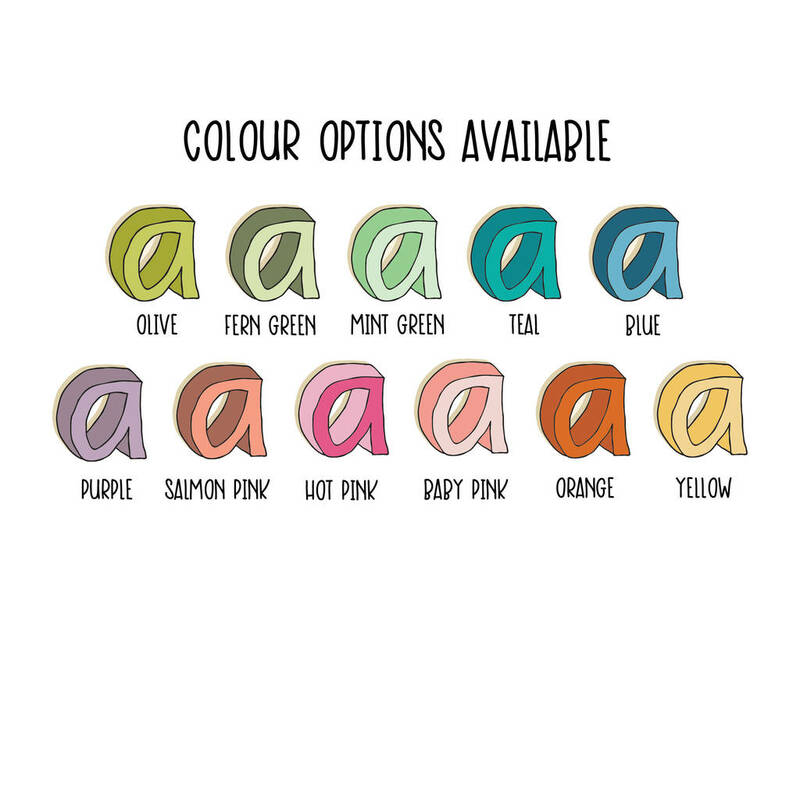 The artwork features the initial in stunning 3D Cartoon initial design in funky colours, simply add a name to make them truly personalised. 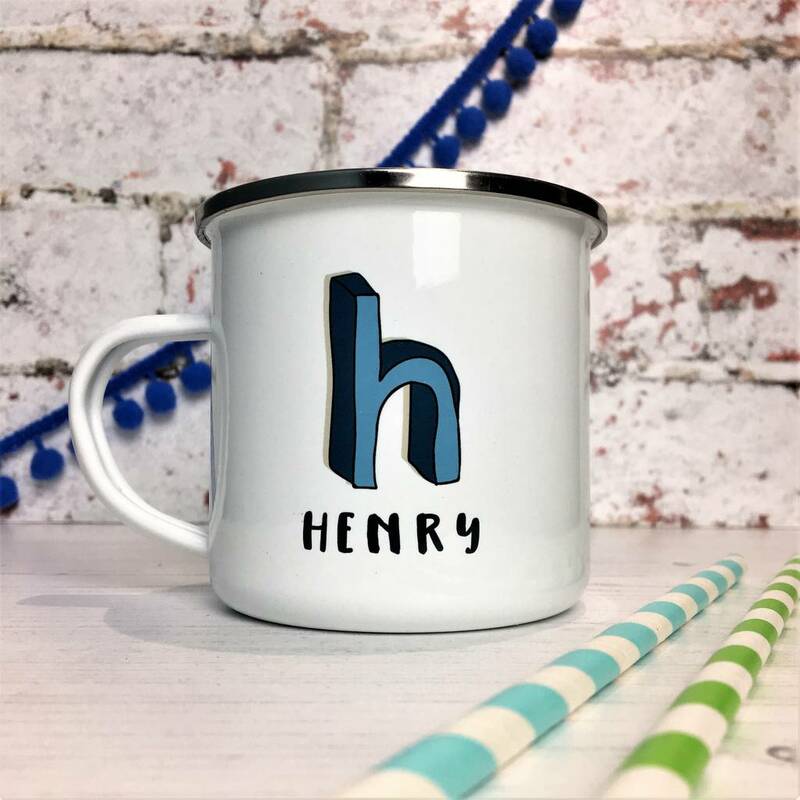 This mug is gender neutral and makes the perfect gift for both children or adults....These are great to use outside or at home for hot chocolate or tea lovers. 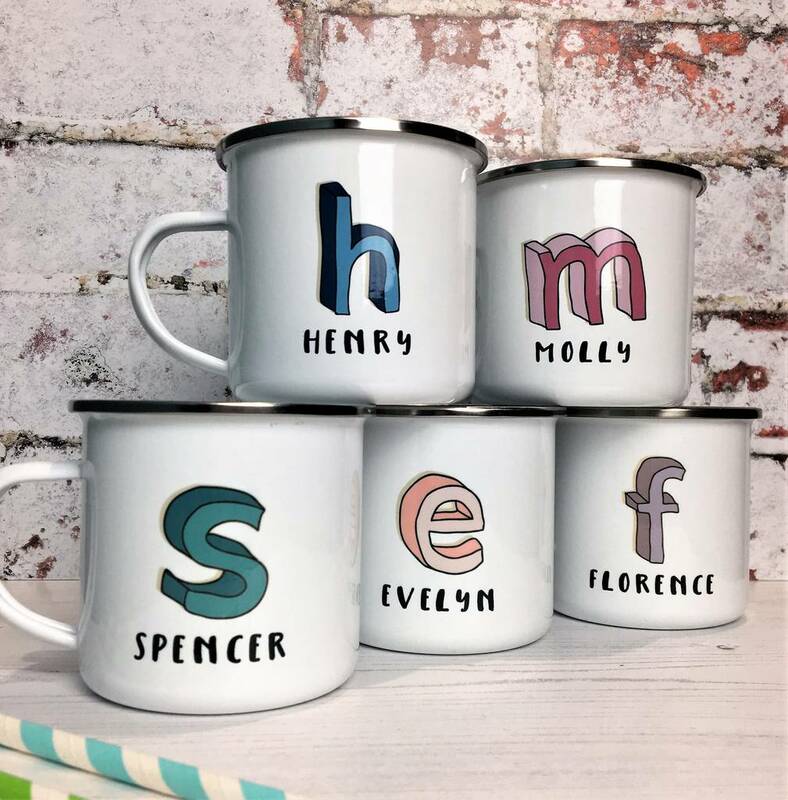 This item is personalised so please ensure you let us know the initial and name required on the front in the dropdown box provided.